The 2016 PBA Commissioner’s Cup quarterfinals kicked off in a big way last night with Troy Rosario catching fire to tow defending champ TNT past Alaska and Jeff Chan coming up huge in the clutch as ROS survived Ginebra. 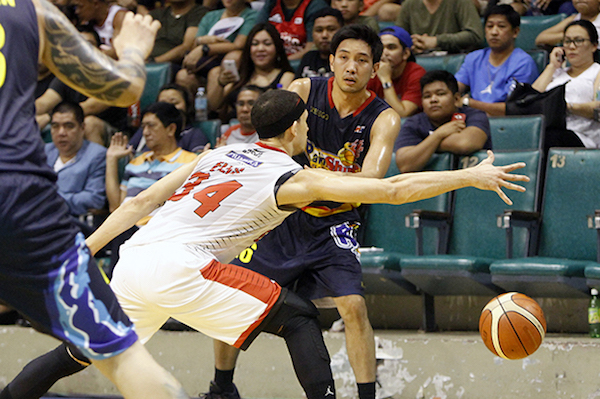 Rookie Troy Rosario delivered the best game yet of his young career, finishing with 31 points and knocking down seven triples to lift Tropang TNT to a 106-99 win over the Alaska Aces in Game One of their best-of-three Oppo PBA Commissioner’s Cup quarterfinals showdown Sunday at Cuneta Astrodome. 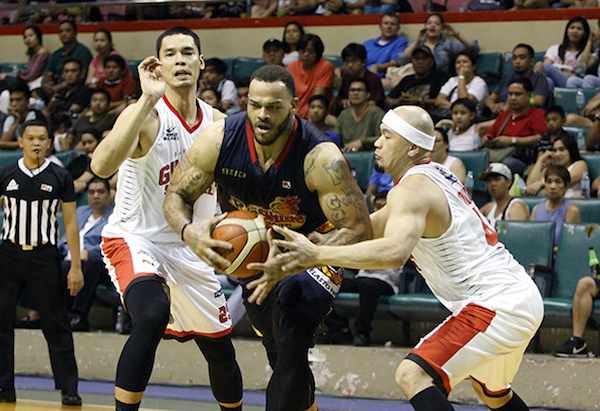 Rosario also grabbed seven boards to help TNT hold off an Aces rally and take a 1-0 lead in their short series. David Simon had another big game for the Tropang TNT. 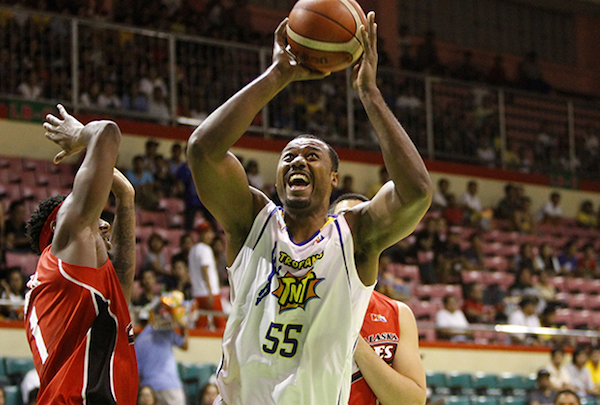 Rob Dozier's 22 points weren't enough to push Alaska past TNT. 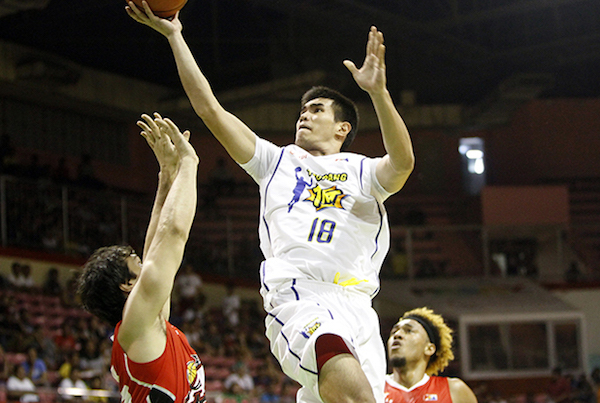 Troy Rosario waxed hot and pushed TNT to the brink of the semifinals. This year’s No.2 overall pick waxed hot all game long — at the half, he already had 18 points and four out of six triples as TNT held a 57-44 lead. 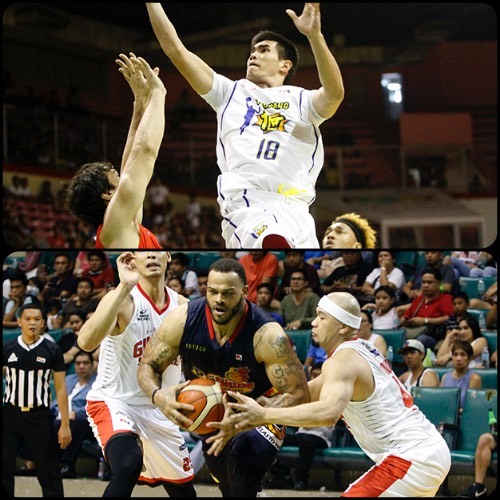 TNT import David Simon scored 24 points and 14 boards, while veterans Jayson Castro and Ranidel De Ocampo ended up with 17 and 13, respectively. 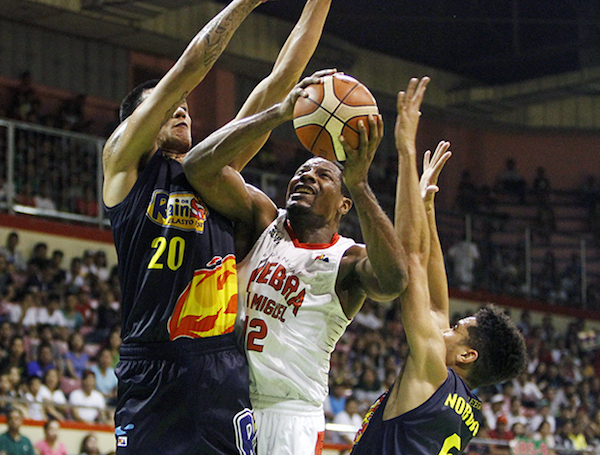 Alaska was led by import Rob Dozier’s 22 points. The Rain or Shine Elasto Painters climbed back from a 19-point deficit to down Barangay Ginebra, 88-84, and draw first blood in their Oppo PBA Commissioner’s Cup quarterfinals duel Sunday at Cuneta Astrodome. Jeff Chan scored 15 points, including the dagger jumper in the dying seconds, to hand Rain or Shine the win in Game One. Jeff Chan came up big in the endgame for the Painters. 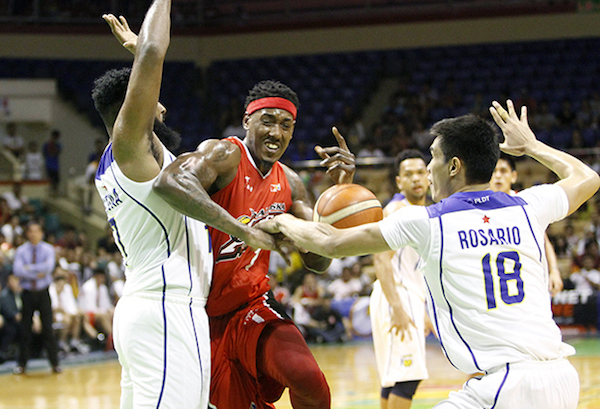 Othyus Jeffers tries to split the defense of ROS. Pierre Henderson-Niles fared better in his second game compared to his lackluster debut. JR Quinahan also had 17 points, while import Pierre Henderson-Niles made 12 points and 10 boards. 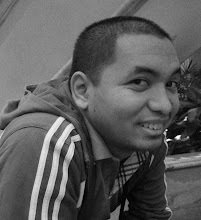 LA Tenorio scored 20 points, while Japeth Aguilar had 13. All of Ginebra’S starters finished in double digits, but they got a modest contribution of 19 points from the bench.